A few days ago I received the Instyler in the post. In all honestly I was terribly excited, I have tried numerous hair tools that promise volume but most never really work. The Instyler can actually be used for numerous things such as to curl, straighten or add waves & volume. I read a few reviews and all the curls look amazing but my hair is still a little too short for curls. Plus what I really look for is a product that can add volume to my flat hair. 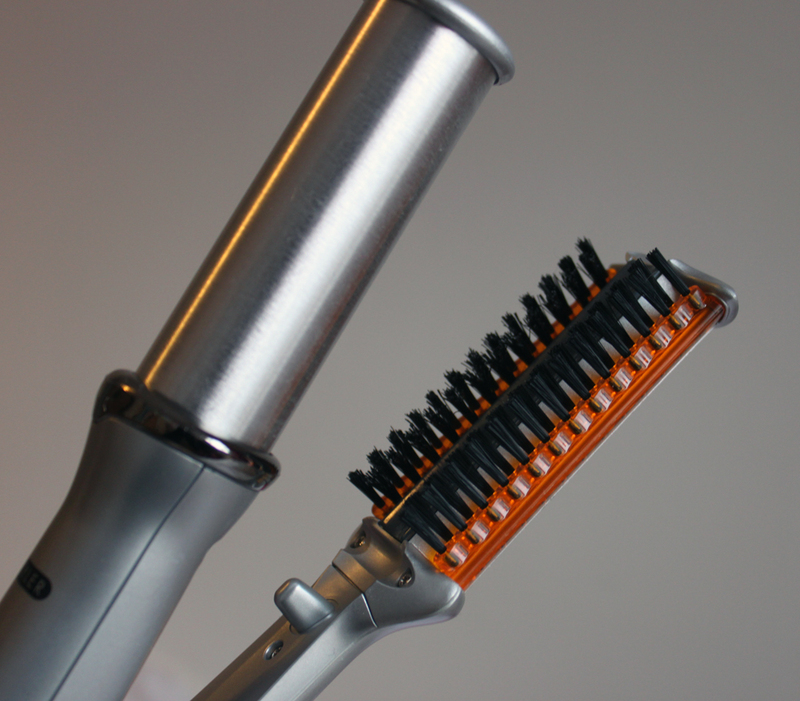 The Instyler is a an iron with a rotating heated barrel, the bristles separate the individual strands while it straightens and adds shine. There are three heat settings which vary from 196C to 140C. Although I have very thin hair I still like the higher setting gets the job done quicker. Sorry about the awful photos of myself but I thought I would share the final result. I really wanted to add volume whilst keeping my hair quite straight although I really don’t like poker straight hair. I love the final result and think I will be seeing very little of my straightener and curling iron as this does such a great job, just look at how shiny it left my hair! My only two negatives are that it does make a bit of noise (just like any other rotating hair tool) and if like me you usually burn your forehead with a curling tong you must be very careful. I can’t wait until my hair is longer so I can start curling it! The InStyler retail from £99.99 from Boots and online which may seem a little expensive but if you consider it replaces a curling and a straightener its actually very reasonable. It really practical if you like to travel as you only need to take the one tool to achieve various looks. For more information check out their Twitter and Facebook page. Their Youtube page also has some good videos! I would highly recommend it and can’t see me reaching for another hair tool any time soon! Whats your favourite hair tool?